Today we had the morning free in Bergen, so after breakfast most of us went hiking up one of the mountains near Bergen in small groups. 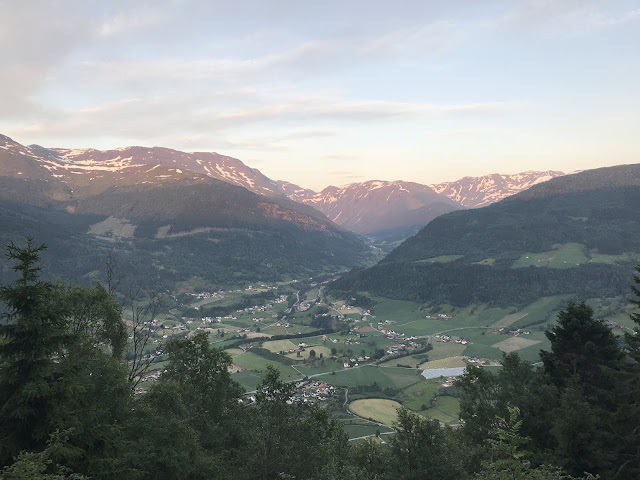 The mountain offered some great views of the city and fjord, and hiking through the forest on the mountain was pleasant. 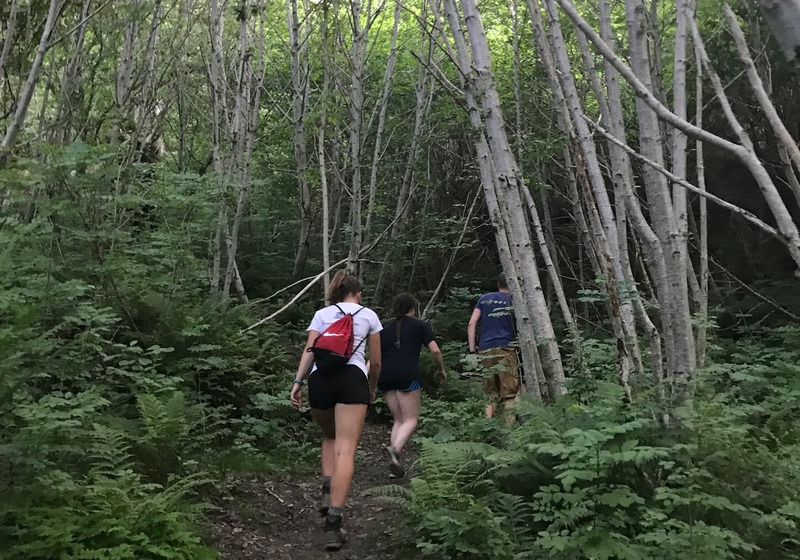 Today we had the morning free in Bergen, so after breakfast most of us went hiking up one of the mountains near Bergen in small groups. 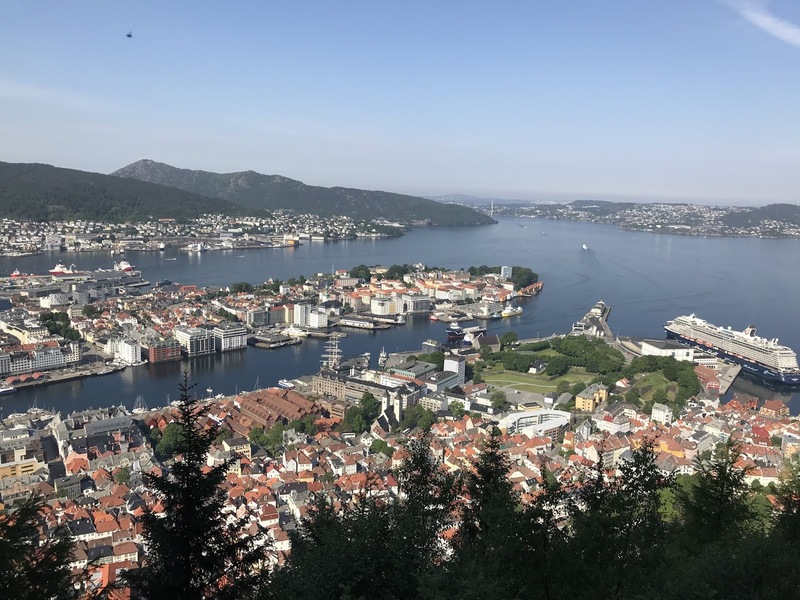 The mountain offered some great views of the city and fjord, and hiking through the forest on the mountain was pleasant. The group I was with walked along the harbor after hiking on the mountain and went to check out an old naval fort. At 1:30 p.m., we all met back at the hostel to depart for the fast boat to Vik. The fast boat was significantly smaller than the ferry from Denmark to Norway, but it was still a decent size. During the boat ride part of the group napped and some of the others enjoyed the view and the breeze from the top deck of the fast boat. 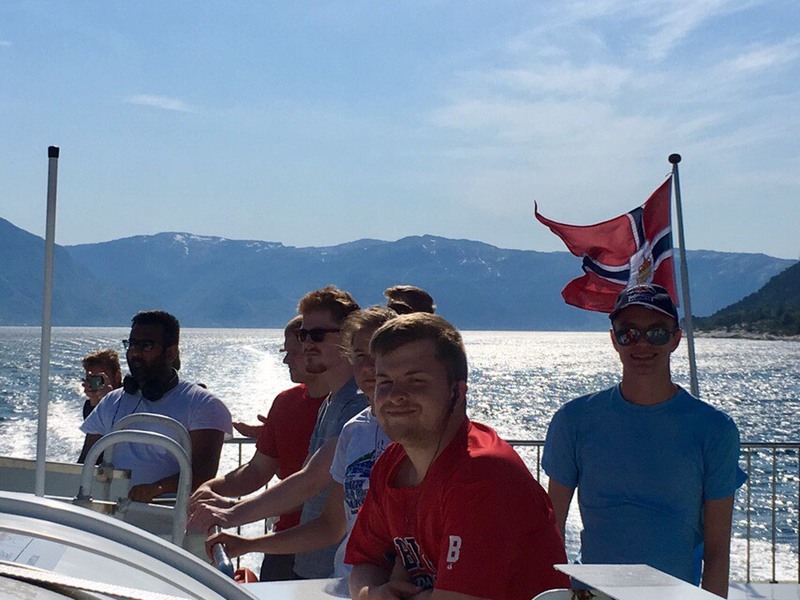 The ride took us past some beautiful scenery as we saw various mountains, small islands, and villages along the fjord. At one of the boat’s stops we got to see an electric ferry that we had heard about in a lecture at Statkraft the day before. At 6 p.m., the ferry arrived in Vik. Vik is a small town surrounded by mountains on 3 sides and facing the Sognefjorden—the largest fjord in the world—on the other side. We were provided a snack of open-faced sandwiches at the hotel before we were given a walking tour of Vik from a local teacher and historian. We had dinner on our own and stopped at the local supermarket to get food. In the evening, a few people went hiking up one of the mountains and some others watched a soccer match between Iceland and Norway on the television. We went to bed preparing for a full day of hiking tomorrow.